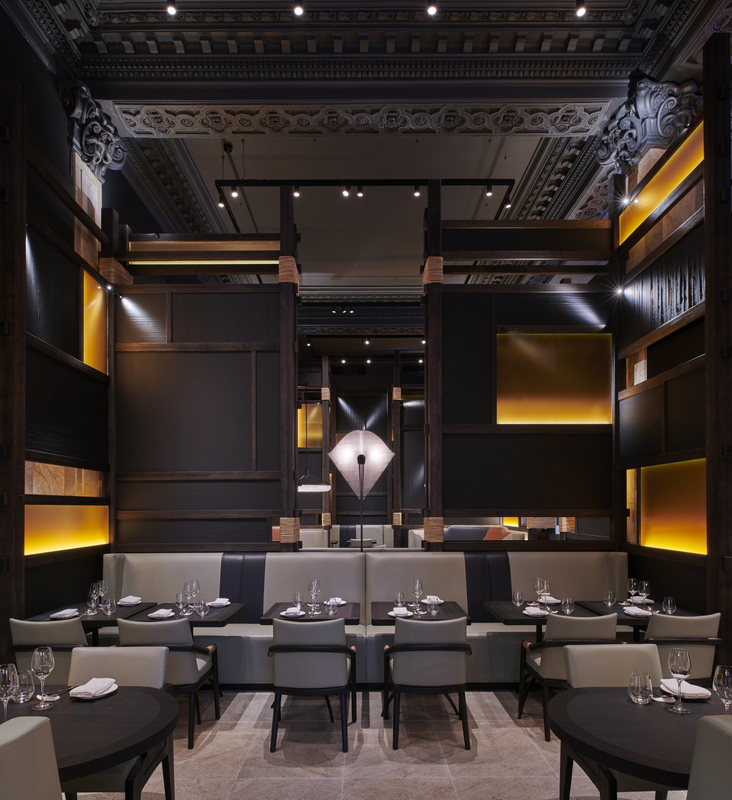 This oasis of opulence may be found at number 9 Waterloo Place, at the crossroads between Mayfair and St James’s, where traditional Chinese cuisine gets a dramatic plunge bath in sleek modernity resulting in a master class of gastronomic dynamism. Imperial Treasure certainly has its own little empire, with venues in a range of high octane destinations including Hong Kong, Singapore and South Korea, and empires don’t grow themselves. Imperial Treasure’s tendrils have stretched out, and continue to spread with a new opening coming this year in Paris, as a result of providing something exemplary. I certainly felt this at the London restaurant, with its lofty ceilings, dark wood panelled walls, immaculately white table linen and highly polished service. Even the entry to the restaurant expresses ‘no holes barred’ majesty. 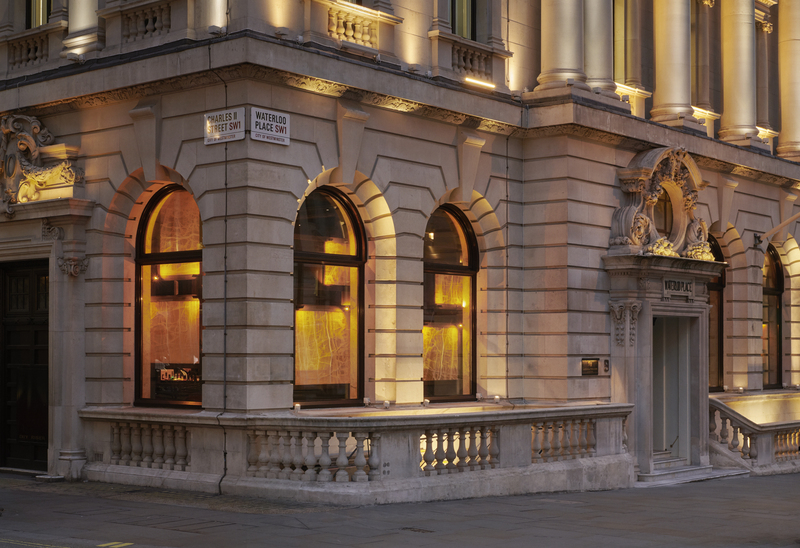 A vast white layer lintel with Greco-Roman rectangular columns either side set the tone for the whole evening. Imperial Treasure’s arsenal of attributes doesn’t begin and end only with the food and sublime decor. The restaurant’s bar, which is stocked to the gunnels with every single high-end tipple known to man, is in itself most certainly worth a visit. 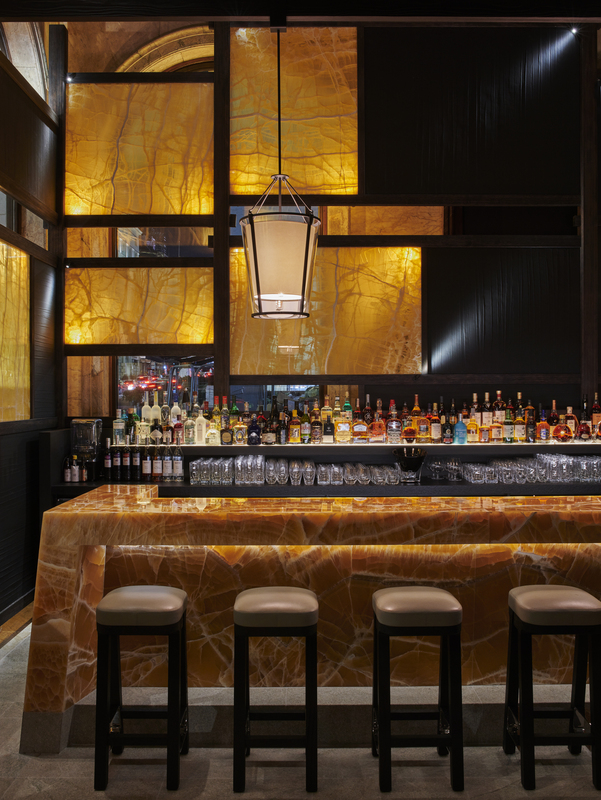 The bar is a tremendous mineralised slab with an amber and cream flecked dappled hue complete with raised, ivory coloured leather topped bar stools. Soft, ochre lighting creates a sumptuously luxurious ambience. This cocktail making haven gives a dazzling overall impression which demands immediate attention in an almost shamelessly decadent fashion. I dipped into an eternally reliable friend ‘The Old Fashioned’ and then later a crisp ‘Vodka Martini’, both mixed to utter perfection and served with aplomb. 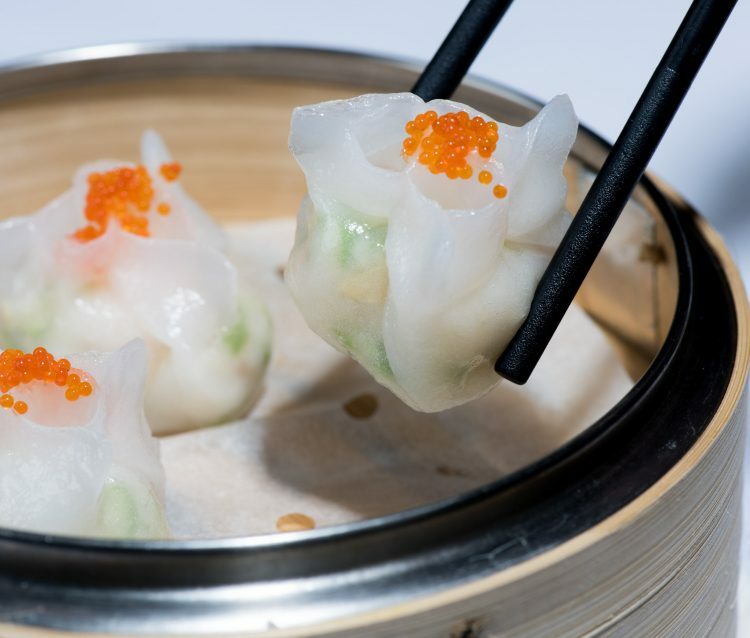 The restaurant boasts that it offers an ‘extravagant experience’ in its provision of the best classic Chinese cuisine. This isn’t wrong as I discovered on a course by course basis, each one topping the last for the clear cooking skill, culinary innovation and breathtaking all round quality. 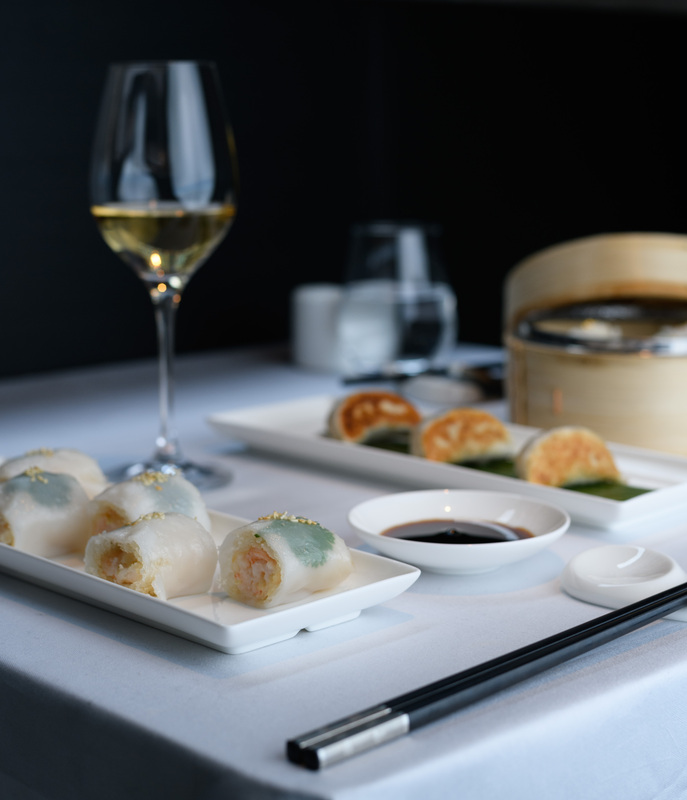 Imperial Treasure is vocal about its areas of unmatched expertise, this being the house dim sum offering including ‘Crystal Lobster Dumplings’, ‘Barbecued iberico pork buns’ and ‘Wagyu Beef Puff Pastries’. 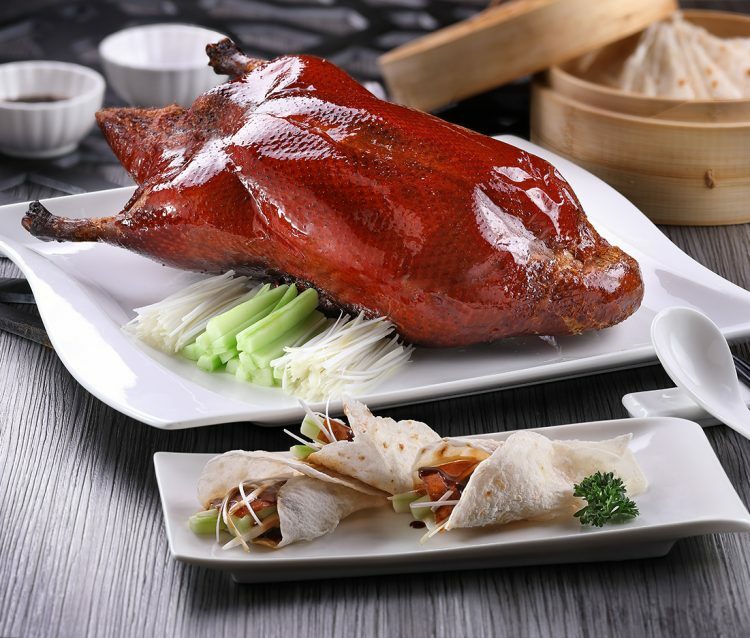 Another part of the restaurant’s core offering is its ‘Beijing-style Roasted Duck’ which should be ordered in advance from the restaurant. The reason being that the chef must put the bird through a painstaking array of steps to create something spectacular. These preparative stages include steaming, drying, seasoning, hanging and roasting. The final result is a golden coloured highly glazed surface which is mesmerising to behold. In fact, Imperial Treasure have spotted quite how hypnotic the finished item is and so have created a little bit of a floor show around the slicing and dicing process, just so the diner can really absorb what it is like to eat… art. The chef will emerge from his creative layer to carve up the bird with such frightening efficiency that it would turn any quasi-inebriated British father poring over the Christmas goose green with envy. The restaurant also offers two set menus which are a fantastically idle way of selecting pre-determined dishes which will automatically contain a selection of the house’s proudest offerings. I opted for the ‘Signature Set Menu’, which I immediately spotted was a splendid idea the moment the first course was brought over, ‘Caviar on Egg White’. There is nothing restrained about Imperial Treasure’s offering, it is simply too committed to providing exquisite food and perfect service to hold back, and what a good thing it doesn’t, as this restaurant’s charm is in its embracing of a dining experience which is admirably extravagant.